The AGAR Food Show ~ Mmmm Good! The entire Northeast branch of the Yank's Franks tasting team met at the crack of dawn this morning (okay, it wasn't so much the "crack of dawn" but it was well before noon) to travel to Gillette Stadium to attend one of my favorite events of the year...The Food Show. Yes, it's totally true, they actually have these events called Food Shows. And I can't think of a better person to invite than me because I love food. Hot Diggity, Double Dog Dennis, The French Fry King and I sampled several varieties of hot dogs, French fries (including an interesting Maine company's product), chicken tenders and lots of desserts. I ate more kinds of bacon today than I had during my entire life until now. For the ride home we headed for the coffee station where I came across my favorite coffee, Douwe Egberts (sorry Dunkies). It was amazing. My only suggestion...I really think we need more Food Shows! Frankly, I can't think of a better pairing of two words than Food and Show. Food Show! 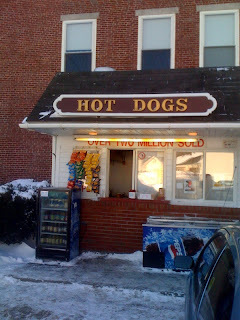 Maine is a beautiful state, but best of all, Maine has some great Hot Dog Stands (or Joints as I prefer to call them). I have sampled some of them and I have put the Joints I have yet to sample on my "to do" list. 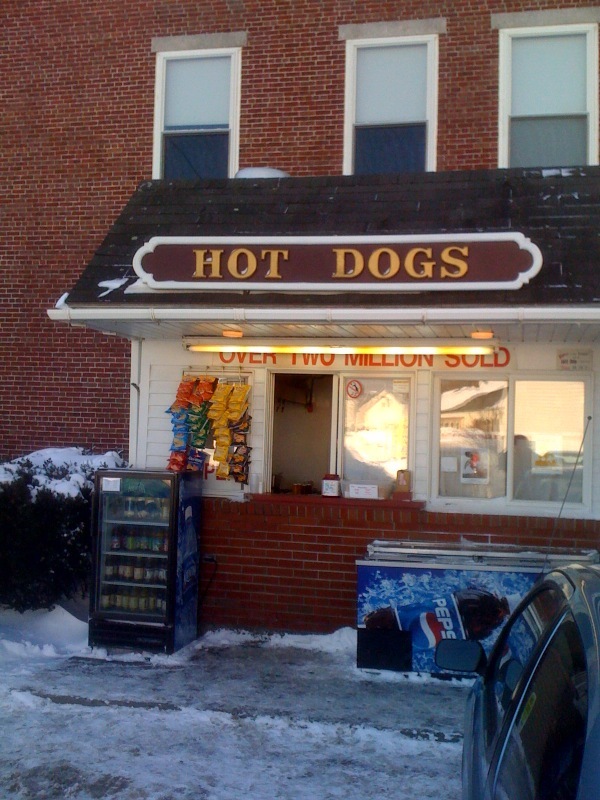 I am listing the Hot Dog Joints of Maine in alphabetical order. I am certain I have missed some so please feel free to post a comment or email me to let me know the Joints I have left out. The Joints I have had the pleasure of visiting I am rating on a scale of one * to five *****. I wish I could do something more clever than *, but I'm not a computer guy, I'm a hot dog guy. If you see your favorite and I have rated it less than you would have, don't be upset, it's just a matter of taste. 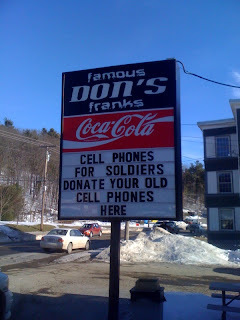 Also, for those that have not noticed, this blog is the Yank's Franks blog so, of course, Yank's gets a *****. Hey, it's a matter of taste. That's my list so far. Let me know if you have a favorite or if you want to weigh in with your ratings. Hot Dog ~ I Got A Winter Gig! Hot Diggity captured this image of Yank serving up hot dogs at Crane Beach in Barbados. Sweet!!! Now, if we could just serve Rum Punch at Yank's Franks in Wells. Some of you may remember the Smoothie of the Day for awhile last summer was Piña Colada. That's about as close as we will get. Opening Day this year is May 19. We can't wait. Frankly, there's no place like home!